An Air France Concorde, the world’s first supersonic airliner. An SR-71 Blackbird reconnaissance jet, the world’s fastest jet propelled aircraft and made popular by the film, Transformers: Revenge of the Fallen. The Sky Baby, at one time the world’s smallest aircraft. The NASA Space Shuttle Discovery, one of four space shuttles which was added in 2012 after flying its final mission. The Enola Gay, the Boeing airplane that dropped the first atomic bomb on Hiroshima, Japan during World War II in 1945. In addition, the annex features flight simulators and an IMAX Theatre showcasing movies as well as aviation and space-related shows. Visitors also have access the nearby Donald D. Engen Observation Tower, which provides spectacular 360-degree views of the surrounding area and the opportunity to see airplanes take off and land at Dulles International Airport. Although the museum is not in D.C. proper and may be considered out of the way for some, it is still worth the excursion. 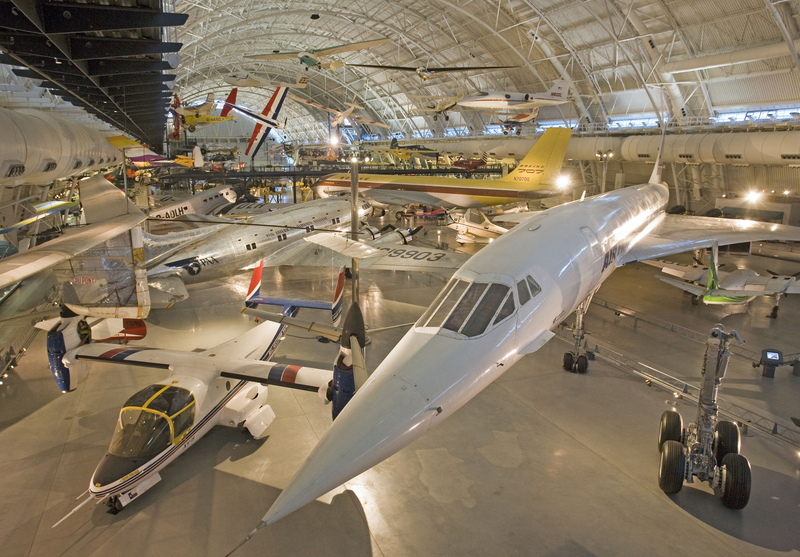 Security protocols have recently been enhanced at the Smithsonian’s museums. During busy days, entrance into the museum is often divided into two lanes: one for bag carriers and another for no bags. Do yourself a favor and travel light to save time. All you’ll need is cash for the gift shop and a camera.